RISE OF THE MYSTICS is the second novel in Ted Dekker’s Beyond The Circle series, supposedly a two-book series but he does leave the door open for more stories in his note to his readers at the end of the story. I read the first book last year and he tells you that you should read the first story before reading this one. A very good idea. I think you’d be completely lost in the story if you haven’t read THE 49TH MYSTIC. The stories feature a young girl (17) named Rachelle. Rachelle finds herself caught between two worlds–Earth and Other Earth. When she sleeps in one of the worlds, she awakes to find herself in the other world. Are they merely dreams or two different realities? When Rachelle wakes up in Other Earth, she discovers she’s more than just a girl–she’s The 49th Mystic. Thus begins her spiritual journey that will cross over between both her worlds–Earth and Other Earth. Her actions in one world has consequences in both worlds. As with any spiritual journey it’s not an easy thing. She has enemies in both worlds who want her to fail. And they are willing to do anything to make sure she fails–even if they have to kill her. These books are what I call modern-day parables. What’s a parable? 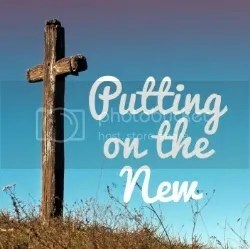 An earthly story with a heavenly message. Using that definition, these books are definitely parables. There are many spiritual truths that are demonstrated in these stories. Whether you choose to embrace the spiritual message or only enjoy the earthly story, these books are definitely worth your time. They are on my short list to read again! I thought I’d share a writer’s secret with you today. This was something I learned as I wrote my first manuscript many–many years ago. It was surprising. It was unexpected. It was unsettling. In fact, it was terrifying! At least terrifying to an introvert like me. Are you ready for this big secret? A writer shares a part of themselves in every book they write! Maybe that doesn’t surprise you, but it sure surprised me at the time. After all, fiction is fiction, right? By its very definition that makes it not true. I’m not talking about the facts of a story or the plot, though I’m certainly guilty of borrowing from my own life now and then as I write my stories. I’m talking about on a different level. I’m talking about the truth of who we are. We can’t completely hide ourselves as we create stories about the human experience. And every fiction story is about the human experience even if the story’s set in another universe or time or with robots, animals or other creatures as the main characters. It’s still about the human experience. So what’s this secret have to do with Ted Dekker and bravery? I just finished reading his novel, RISE OF THE MYSTICS. It is the second novel in a two-part series. The first was THE 49TH MYSTIC. I’ll do a review tomorrow, but today I want to talk about Ted Dekker’s bravery. 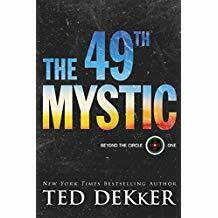 If you don’t know Ted Dekker’s books, they can be described as horror, supernatural, and/or fantasy but with a Christian message. And he’s been successful–very successful. HIs books are best sellers. As you read these two books, it will become obvious that he’s sharing his own spiritual journey and truths with his readers in the form he’s so good at–fiction. 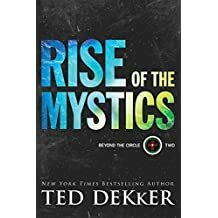 Whether you like or dislike the story, whether you agree or disagree with him, you can’t deny that Ted Dekker is willing to make himself and his readers uncomfortable in order to share his spiritual journey. And that makes him one of the bravest writers I know!